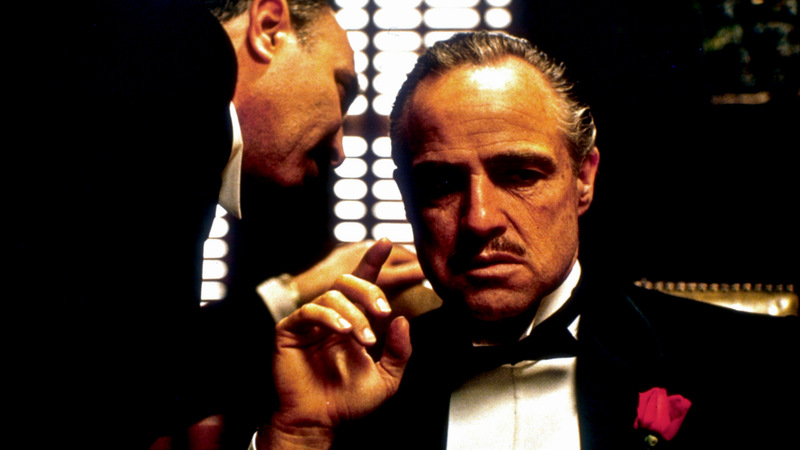 Writer & ScreenPlay : Mario Puzo, Francis Ford Coppola. Cast : Marlon Brando, Al Pacino, James Caan, Richard S. Castellano, Robert Duvall, Sterling Hayden, John Marley, Richard Conte, Al Lettieri, Diane Keaton, Abe Vigoda, Talia Shire, Gianni Russo, John Cazale, Rudy Bond, Al Martino, Morgana King, Lenny Montana, John Martino, Salvatore Corsitto, Richard Bright, Alex Rocco, Tony Giorgio, Vito Scotti, Tere Livrano, Victor Rendina, Jeannie Linero, Julie Gregg, Ardell Sheridan, Simonetta Stefanelli, Angelo Infanti, Corrado Gaipa, Franco Citti, Saro Urzi. Flawless. Unforgettable. Masterpiece. Magnificent. Timeless. Iconic. Probably the most impactful movie of all time. I am glued to the screen each time I watch this film.